Saudi Crown Prince Mohammed Ben Salman will arrive in Egypt today for the first time in a three-day visit to discuss bilateral ties and regional issues with Egyptian President Abdel-Fattah El Sisi. Salman’s visit to Egypt is his first official foreign trip and will be followed by a trip to London on March 7 and a trip to the United States on March 19. Last year, the two governments have signed a memorandum of understanding to promote Saudi investment in Egypt. 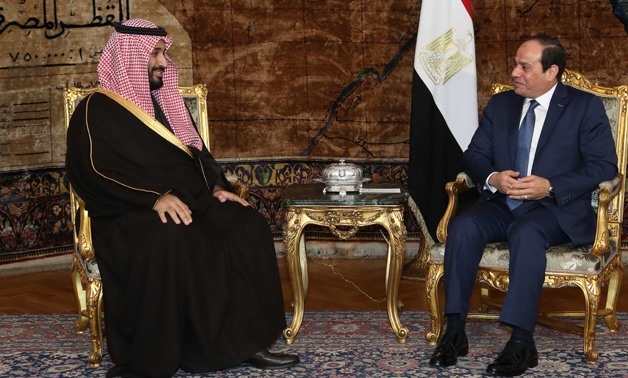 In December, Saudi Arabia pledged approximately USD 8 billion of investments to Egypt. Salman was appointed crown prince last June, after his father, the Saudi king deposed his nephew Mohammed Bin Nayef. Salman led wide changes in the conservative kingdom ever since his appointment. Saudi women will be allowed to drive for the first time in June according to a royal decree issued in December 2017. Also, the Saudi Ministry of Commerce and Investment announced last month that Saudi women can now own businesses without a need for a male consent.